Our Hotel Garni Oasi is situated in the San Rocco district, in a quiet and panoramic position close to the ski area Carosello 3000 and the 40 km long cross-country track, which in summer becomes a pedestrian and cycle path along the valley. The Hotel is the perfect accommodation both for couples and athletes. It has double rooms with private bathroom and offers every kind of services you would need to fully enjoy your stay: a typical breakfast room furnished with wood, an elegant Lounge Bar where to relax and a practical ski and bike storage. The cozy and warm atmosphere and all the services offered make Hotel Garni Oasi one of the most well liked hotels by athletes in Livigno. Hotel Garni Oasi offers spacious and functional rooms, furnished with wood in a simple but extremely comfortable style. Even if functional, our rooms feature all modern comforts such as flat screen TV, seating area and panoramic mountain views. 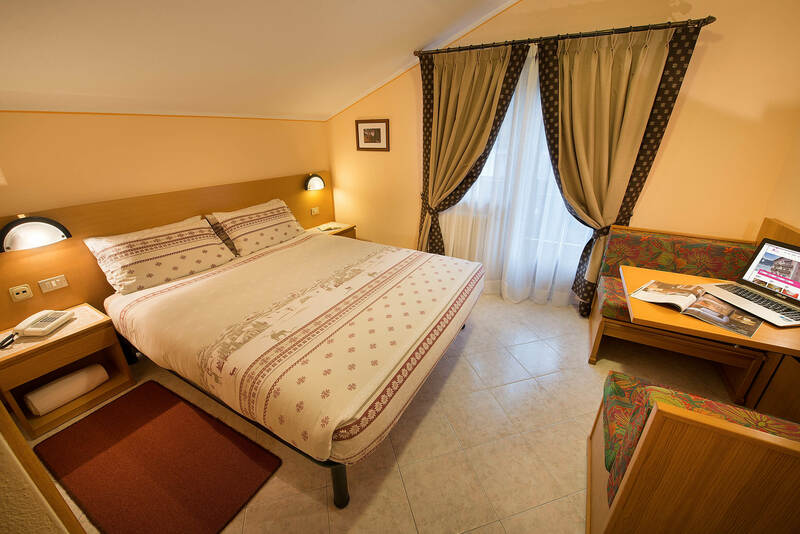 Choose between a double room or a twin bed room and enjoy your holiday between sport and relaxation in Livigno.